It’s always a good idea to have an OBD scanner. An even better idea is having a scanner that’s designed specifically for your car. If you drive a Volkswagen, Audi, Skoda or Seat then one brand-specific diagnostic tool to consider is the OBDeleven Pro. 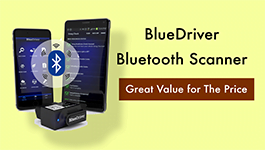 This is a unique Bluetooth device which allows you to run full system diagnostics, programming and monitoring on your vehicle. 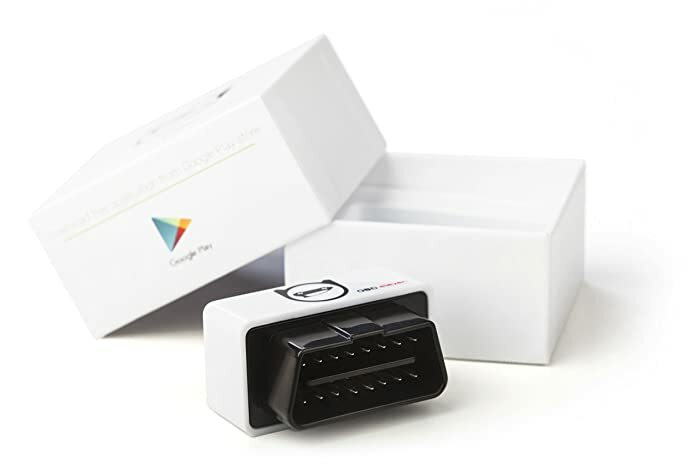 It connects to the vehicle using the OBD-II diagnostic socket found underneath the steering wheel. 4 Who is OBDeleven Pro Built for? OBDeleven Pro is a unique Bluetooth device. It’s actually a dongle (or adapter) that plugs into your vehicle’s OBD2 port and runs diagnostics. Dongles typically work alongside diagnostic apps and computing devices. Depending on its compatibility, you can use yours with an Android smartphone or tablet. They are growing popular by the day thanks to their affordability, small size, versatility, and, in some cases, superior diagnostic capabilities (compared to traditional OBD2 code readers). With that in mind, how does the OBDeleven Pro perform? Is it worth your money? And which vehicles can you use it on? Read on for answers to those and any other questions that you might have. The OBDeleven Pro supports a variety of advanced diagnostic functions. Having praised the scanner’s DTC functions, I should warn that there are certain things that you (certainly) won’t be pleased about when it comes to its special functions. More on that shortly, for now, let’s look at the good. First off, the OBDeleven Pro supports several advanced diagnostic functions. You can do adaptations, long coding, view live data and perform several service functions. For example, the scanner supports service due reset, EPB release, oil service reset, DRL reset, BEM reset, new battery registration, oil pressure monitoring, comfort turn signals, comfort windows and so much more. You should know that all those functions fall under what OBDeleven calls the “One-Click App”. It’s essentially something that allows you to put add-ons on the OBDeleven app and consequently perform advanced diagnostics. But you can only do that by buying credits at 10 credits. You do get 11 free credits though when the device is completely new. Something else noteworthy is that you can view programming history, and use it for programming your vehicle. You can also try other professional-level functions like throttle body alignment. 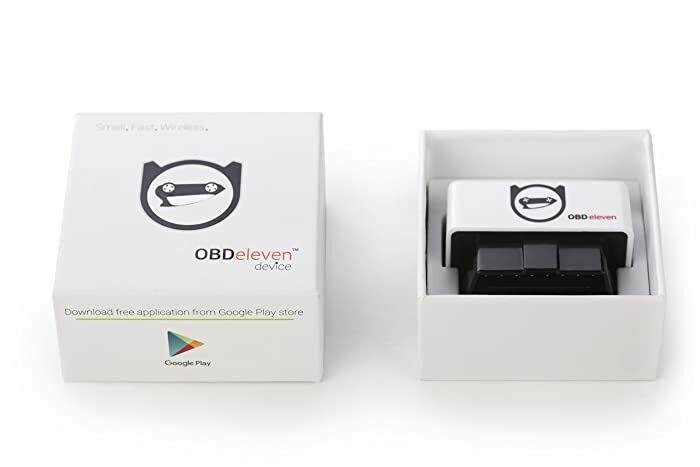 As an affordable unit, the OBDeleven Pro is the best Bluetooth OBD2 Scanner for DIY people and Professional mechanics at its price range. It offers just enough to help you diagnose and monitor your vehicle. A professional may find it lacking since it doesn’t offer such functions as programming and throttle body alignment. Like any other OBD2 code reader, the OBDeleven Pro reads and clears diagnostic trouble codes (DTCs). It’s a full-system Audi/VW scan tool for OBD2-compliant vehicles. 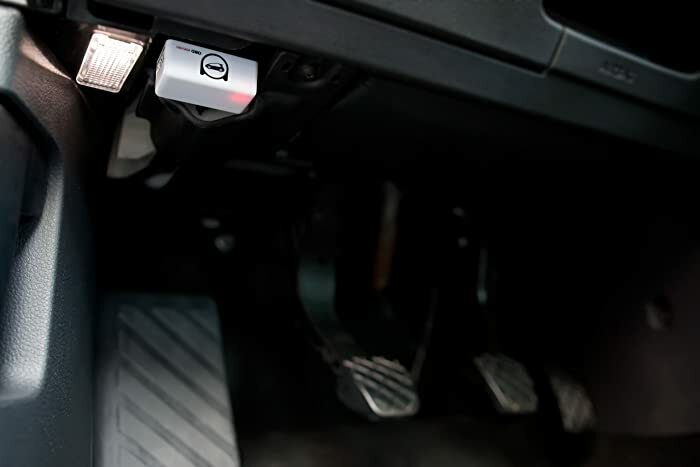 That means it can pull and erase codes for all available systems, including the engine, ABS, airbag, transmission air conditioning, multimedia etc. In case you are wondering, clearing engine codes resets the Check Engine Light. Once you have your codes you can share them via email. You may need that feature to help you seek assistance from professional auto mechanics. As far as reading codes, this device and its app are basically flawless. You even get a library of code definitions to help you understand each code. In short, there’s nothing to dislike here. Another great feature of OBDeleven is called Apps. Apps are prepared functions that will allow you to change vehicle settings in just one click. For example, the scanner supports service due reset, EPB release, oil service reset, DRL reset, BEM resetting, new battery registration, oil pressure monitoring, comfort turn signals, comfort windows, and so much more. Apps are using credits even with PRO version! It’s not expensive, but of course, it’s a disadvantage. When you create an account you will get 11 free credits to start with. Also, you will be able to get up to six free credits daily by watching ads. We’ve already seen that this Audi/VW scan tool works with the OBDeleven app and an Android device (phone or tablet). It connects with the device via Bluetooth, making it possible for you to use the app’s diagnostic on that device. The OBDeleven supports free application updates. The Bluetooth connection is quite strong and spans 10 meters. You can run diagnostics even when you’re outside the vehicle. Whether you’re an auto mechanic or DIYer, that level of mobility will come in handy. On the downside, the app won’t work without internet connection. It won’t even pull codes or do the most basic diagnostic functions. 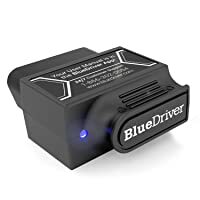 If your vehicle breaks down in a place where there’s no Wi-Fi or any form of internet you absolutely can’t use this OBD2 scan tool. The OBDeleven Pro is a diagnostic scanner meant for the VAG group of vehicles. 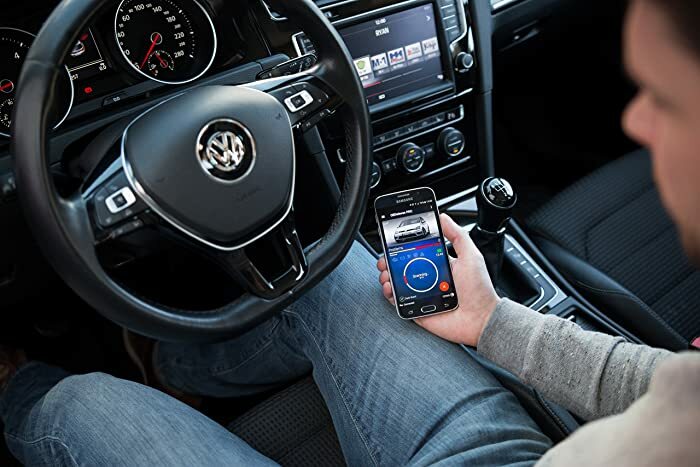 More specifically, it’s designed to run onboard diagnostics on all Volkswagen, Audi, Skoda or Seat cars. Full diagnostics and programming functions are for all Audi, Volkswagen, Seat and Škoda models from 1991 to 2018. Some models produced before 1996 need additional VAG 2×2 adapter. The manufacturer lists several Audi models, including the A series (like the A1, A2, A3, A4 etc. ), Q series (such as the Q2, Q3, Q5 and Q7), S series (including the S1, S3, S5, S6 etc.) and pretty much any Audi manufactured no earlier than 1991. As for VW cars, OBDeleven lists models like the Polo, Jetta, Beetle, Tiguan, Touareg, Passat, Bora, Golf, and many more. Keep in mind that by default the OBDeleven Pro is an OBD2 VAG scan tool. OBD2 vehicles are those made from 1996 to date. If you own or drive one of those you will find the 16-pin OBD2 port just under the steering wheel. This OBD2 code reader plugs there. What about those whose vehicles were made between 1991 and 1995? In that case, you will need to purchase the VAG 2×2 adapter. It only means your vehicle is OBD1-compliant, so the adapter will enable this OBD2 scan tool to communicate with your OBD1 car. While the OBDeleven Pro is marketed as an Audi/VW scan tool, it actually works on Seat and Skoda cars as well. Both brands fall under the VAG group of vehicles. 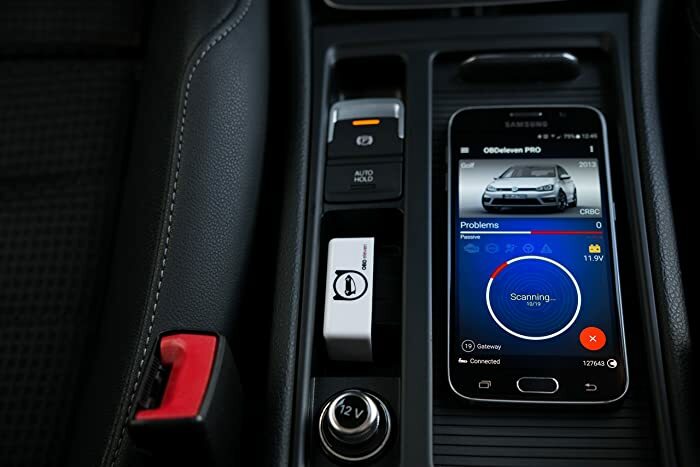 The OBDeleven Pro is designed to run onboard diagnostics on all Volkswagen, Audi, Skoda or Seat cars. As mentioned already, the OBDeleven Pro is an adapter. It won’t run diagnostics on its own, you need to pair it with a smartphone or tablet. In addition to that, you will need to install the OBDeleven on your device. Both the adapter and app are only compatible with devices running Android version 4.1 or later. Meaning your options are limited to Android phones and tablets only. 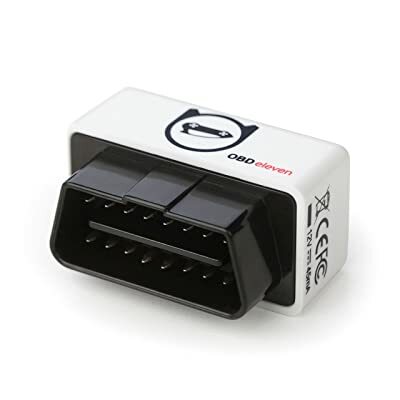 If you only use iOS or Windows devices then you’re out of luck with this OBD2 code reader. On the zip-lock packet of the scanner is a Pro activation code. After installing the OBDeleven app use the code to unlock its Pro features. Compared to the standard version, the pro version offers advanced access to your vehicle’s onboard systems. The functions require advanced knowledge about vehicle programming and are recommended for professional use only. On the pack of the scanner is the Pro version activation code. After installing the OBDeleven app, enter the code the Pro features will be unlocked for you. In comparison with the standard version, the Pro version offers advanced functions like coding, adaptation, basic settings, etc. These functions require knowledge about vehicle programming and are recommended for professionals ONLY. OBDeleven Pro is only compatible with devices running Android version 4.1 or later. However, it’s not entirely a free service. It’s activated by a one-time fee. All updates are free of charge. When you enter the code you will get 11 free credits to start with. Unless you purchase those credits you won’t be able to do anything beyond pulling codes. Meaning you won’t have access to live data, coding functions, and any special diagnostic feature. It’s not expensive, but of course, it’s a disadvantage considering there are other OBD2 dongles with absolutely no maintenance cost. Who is OBDeleven Pro Built for? OBDeleven has all functions that are needed for professional use in workshops (Throttle body adaptations, steering angle adaptation, etc.). Overall, the OBDeleven Pro is a pretty decent Audi/VW scan tool that supports all the needs of ordinary car owners, DIYer, and professionals. With Veepeak VP30 OBD2 Check Engine Light Code Reader you can easily check and fix the bugs in your car. What else it can do? Check it out now! any chance you would know how to reset the service due warning (not the oil) using OBDeleven? It costs you about $1.50 per APP detail that you want to adjust.